Its official, I have an obsession with dainty jewellery. Its only within the past two years or so that I’ve properly gotten into wearing jewellery and I wish I’d done it sooner. It has to be silver though, its alllllll about silver. 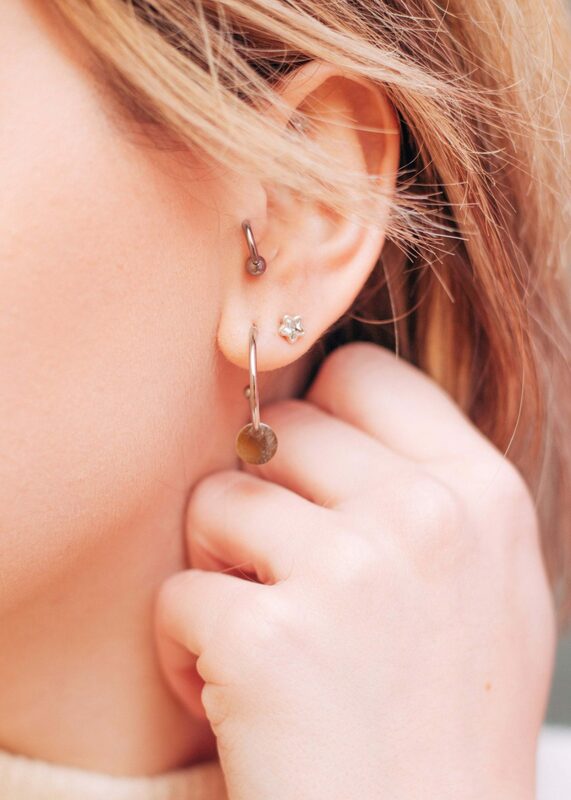 I have a fair few piercings, so have quite a bit of jewellery in my ears. On my right ear I have four lobe piercings, three of which, I recently switched up for some super dainty (and very cute) space themed earrings. I have a star, a sun and a moon. The little star was from Pandora, not a place I’d usually shop for jewellery but I spotted these and couldn’t resist. Then both the sun and moon were from Silverado. These were quite reasonable if I remember rightly, but they also stock designer brands such as Alex Monroe. I mean, if I could afford to buy everything from Alex Monroe, I would; their pieces are gorgeous! As for what I have in my firsts, its these gorgeous circle charm hoop earrings* from Happiness Boutique. I’m a sucker for a good hoop earring and I love the sizing of these and the extra added detail of the circle charm. I think they sit so nicely alongside the other jewellery I have in my ears. Moving on from earrings and onto necklaces. I never used to be a fan of necklaces (I have no idea why), but I have now learnt they can really complete an outfit. 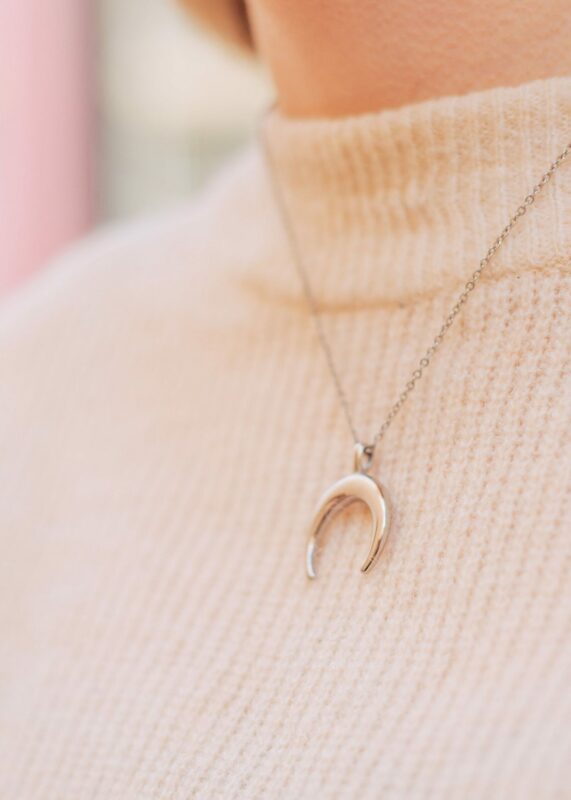 One that I’ve been obsessing over recently is this half moon necklace*, again from Happiness Boutique. Unintentionally sticking with that space theme I clearly love so much, haha. 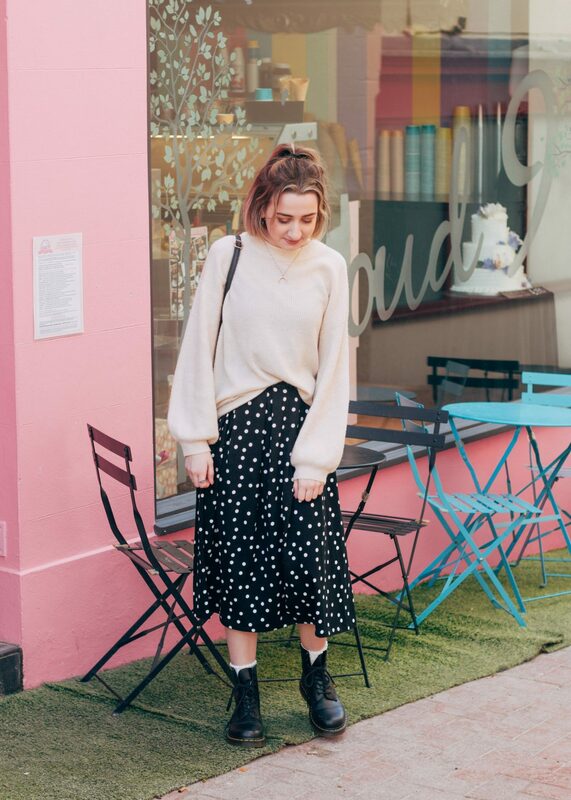 But honestly though, I love the simplicity of this and how well it goes with so many of my outfits. 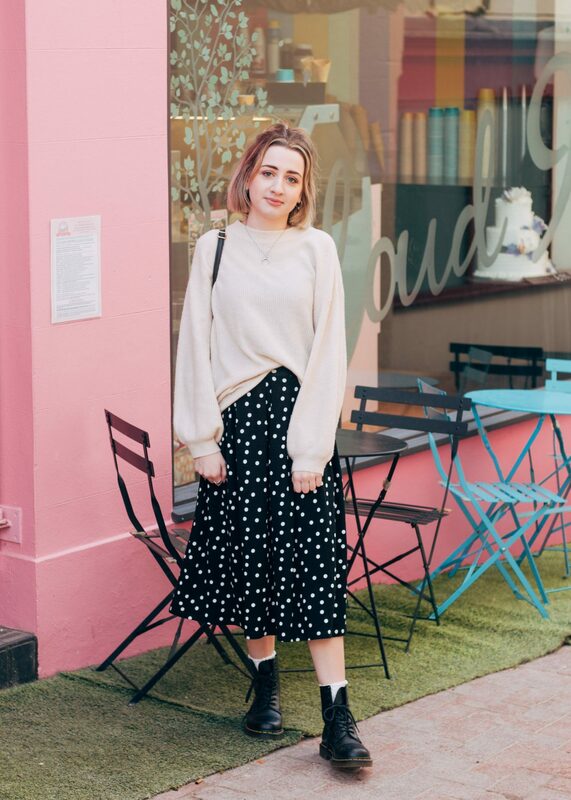 I especially like it paired with this jumper, it definitely completes the outfit. Although I’ve been wearing this pretty much everyday recently, I do love my John Greed space silver celestial necklace* too. You can easily layer this up with other necklaces in your collection, or wear it on its own as a very subtle piece – which I love doing. The final piece I’m going to mention in this post is my Alex Monroe flying swallow necklace. I couldn’t not mention this, one, because its from Alex Monroe and two, its special to me. If you’re ever thinking of investing in a piece of higher end jewellery, I’d definitely recommend checking out Alex Monroe. You can get 10% off any orders over 19 euros (approx £16) on Happiness Boutique by using the code: foreverseptember at checkout. This is valid until the 4th March.